Designed for younger members of the family, our Easter Bunny boat trips take about an hour and 20 minutes and you get to meet the Easter Bunny. 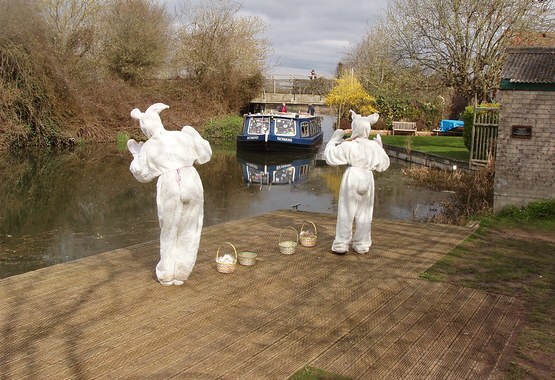 The boats are brightly decorated for Easter and there is usually plenty of Spring wildlife to be spotted along the canal. After a brief stop in Hunston, our bunny friends join you onboard for fun all the way back to the Basin. There are refreshments for all and each child receives a chocolate bunny. Trips at 10:30, 13:00 and 15:30. Booking is essential.